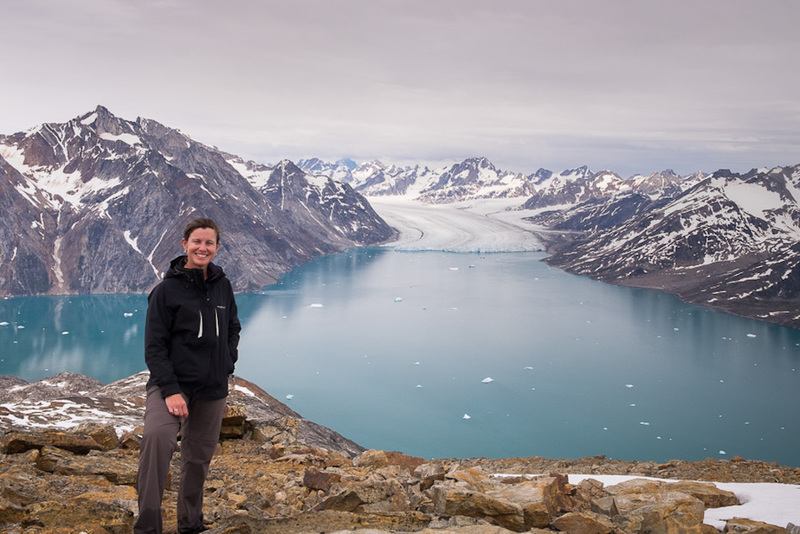 Lisa, a former Astronomer from Australia, fulfilled her dream of visiting Greenland in the summer of 2017. During her travels in different regions of the largest island in the world, she joined us for an adventure filled trek on the Unplugged Wilderness tour. 1. What motivated you to visit Greenland? I have wanted to visit Greenland for over 20 years! I remember buying the Lonely Planet guide for “Iceland, Greenland and the Faroe Islands” back in when I was studying at University, and pouring over the Greenland section. I like to travel in unusual places where most people don’t go (e.g. I arrived in Greenland having just traveled across the Silk Road including Kazakhstan, Kyrgyzstan, Tajikistan, Uzbekistan, Turkmenistan, Iran). I love being out in nature and long-distance trekking. So, given the remoteness of Greenland, it’s extremely small population, and its natural beauty – it was a no-brainer really. 2. How long was your stay? Did you travel solo or with a group? I stayed for 5 weeks (not long enough!). 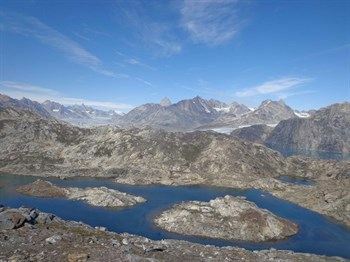 2 weeks trekking in South Greenland, 5 days relaxing in Nuuk, and 2.5 weeks trekking in East Greenland. I traveled solo up until I started the Unplugged Wilderness Trek in East Greenland with Greenland Adventures by Icelandic Mountain Guides, but really enjoyed meeting other travelers and locals in South Greenland, and making friends in Nuuk. 3. Which tour did you take and why did you choose it? 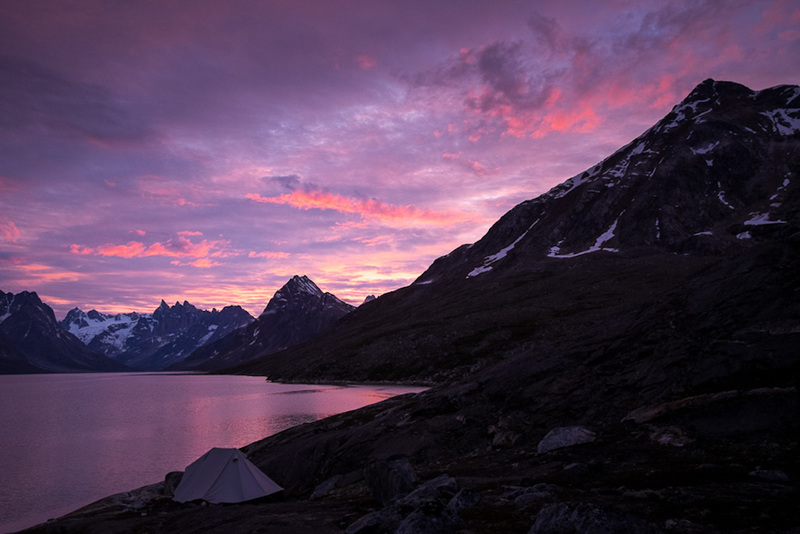 When I started planning my trip to Greenland, the very first thing I decided upon was the Unplugged Wilderness Trek in East Greenland. Everything else had to fit around that. I absolutely love remote outdoor adventures, and I’d done a couple of other long-distance treks in the last 2 years (Huayhuash Circuit, Peru in 2016, Torres del Paine Circuit, Chile in 2015). There is something very special about being in a remote place and walking for many days. The silence, the peace, the freedom, the beauty. And I’ve been lucky on all my long treks so far to have had amazing trekking companions as well. 4. What is one thing you will always remember about your tour? There were many, many incredible aspects to this tour: great conversations (including some awesome music recommendations), new friends (at least two of whom I will see again during my travels in 2018), the silence and grandeur of the landscapes we trekked through, and gorgeous sunrises at 2am, just to name a few. 5. What is something that you learned about Greenland that surprised you? It didn’t surprise me that it was expensive. What surprised me was that it was not as expensive as I had thought compared with Australia and other Scandinavian countries. Also – I was surprised by how many Greenlanders spoke excellent English – especially in South Greenland! 6. 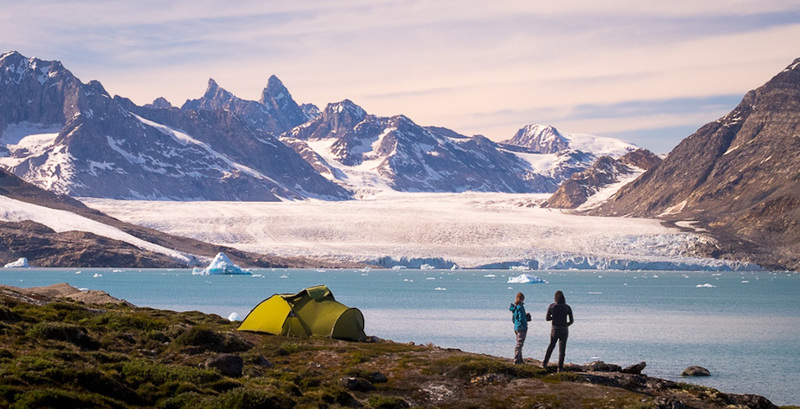 If you had more time in Greenland, what else would you like to see and do? I loved my time there so much, I’m returning to Greenland in 2018! 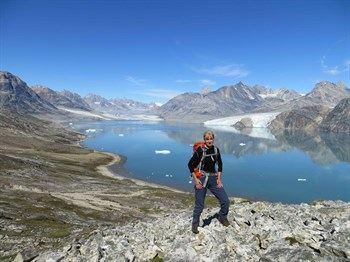 I plan to do the Inuit Trail Backpacking Trek with Greenland Adventures in East Greenland, then hike The Arctic Circle Trail from Kangerlussuaq to Sisimiut, and then spend several more weeks exploring West Greenland. I’m also trying to organize a way so that I can stay in Greenland for several months, as I would love to experience the change from Summer to Winter, see the Northern Lights (a bucket list item) and go dog-sledding. I would also love to get to the far north … somehow. And the Greenland Icecap Crossing Expedition has completely captured my imagination! I love being out in nature and long-distance trekking. So, given the remoteness of Greenland, it’s extremely small population, and its natural beauty – it was a no-brainer really. 7. What tips do you have for people that want to visit Greenland? Just go! It is incredible! Try as much of the local food (whale, seal, musk-ox, etc) as you can! In summer, make sure you take a head net. You won’t always need it, but when you do you will be infinitely grateful you have it! 8. What adventure are you off to next? I’m currently traveling and working in South America. 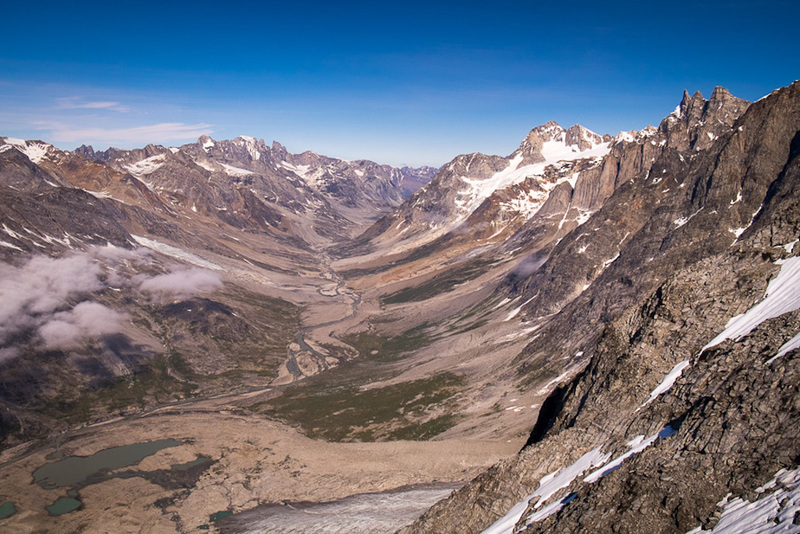 I’ve already done a lot of trekking in Patagonia (Chile and Argentina), but for my next big adventure I will return to Argentina to do the 10-day Patagonian Icecap Expedition. It’s not quite the Greenland Icecap Crossing Expedition but it will hopefully give me a small taste for what that might be like. And who knows … maybe in a couple of years I’ll return to Greenland to do that as well. 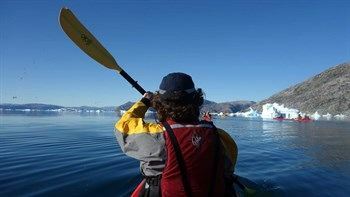 Lisa has written extensively about her adventures in Greenland and many other places in the world. Check out her blog for more. Did you enjoy this story? Have awesome adventure stories like this one delivered to your inbox each month when you subscribe to our free newsletter.